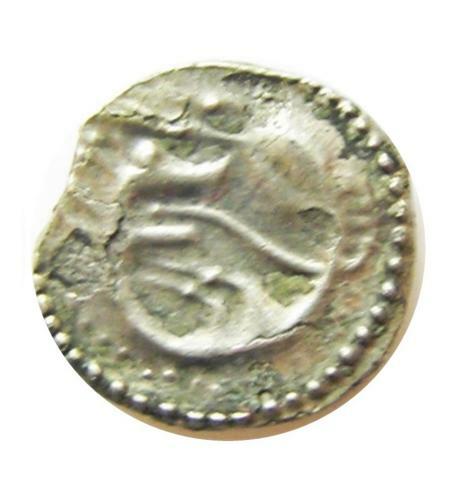 This is a rare Anglo Saxon silver Sceatta, struck in Kent c. 710 - 760 A.D. It is a series K, type 32a, bust facing right holding a cross, cupped in hand. Reverse Wolf curled head to tail or wolf-headed serpent. A bold well struck example, in about very fine, very rare.